We are now inviting applications from graduates in Spanish law that are interested in joining our Barcelona office in September 2020 for the purpose of undertaking the practical work experience (prácticas) required as part of the Máster de Acceso a la profesión de la Abogacía. Those selected will be assigned to one of our practice areas. Studying the final year of a degree in Spanish law during 2018-2019. Undertaking the Master de Acceso a la profesión de la Abogacía during 2019/20. With an excellent academic record. With a high level of written and spoken English. Additional graduate qualifications held by you in Business Administration, Economics or Political Sciences. Relevant work experience gained during your graduate studies. Positions of responsibility held whilst at school or university. Fluency in languages other than English (e.g., Mandarin Chinese, German or French). Committed to a career in commercial law. Keen to work in an international environment. A creative but practical problem-solver. A strong and persuasive communicator. Reliable, accurate and thorough when completing a task. If you meet the requirements indicated above and are interested in the position, please apply online as directed below, answering the questions posed with care, and attaching your Curriculum Vitae, up-to-date academic transcript, cover letter, and any other documents that you consider relevant, including any certificates that confirm your current your level of English and any other languages. Meeting potential candidates at job fairs. Screening of candidate online applications. A written case study test (in English). An interview with our HR department. Clifford Chance is one of the world's leading international law firms, helping clients to achieve their goals by combining the highest global standards with local expertise. The firm has unrivalled scale and depth of legal resources across the key financial and commercial markets of Africa, America, Asia-Pacific, Europe and the Middle East and focuses on the core areas of commercial activity: capital markets; banking & finance; corporate and M&A; litigation and dispute resolution; real estate; tax, pensions and employment. 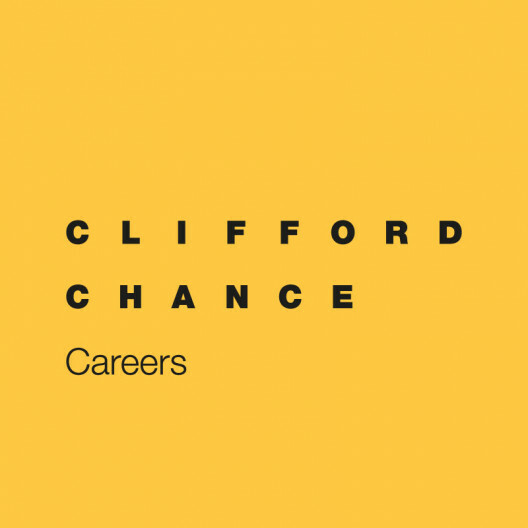 Clifford Chance has 33 offices in 23 countries and more than 3,300 legal advisers.